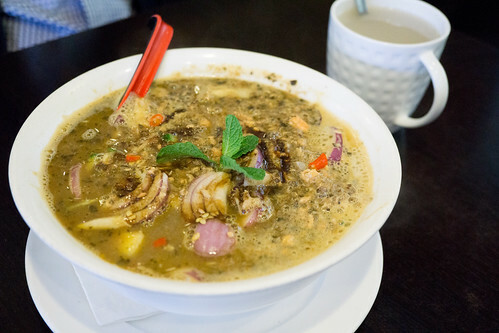 While Laksa King and Chef Lagenda are the known entities around Newmarket/Flemington, M Yong Tofu is another Malaysian eatery just minutes walk from the others and located on the busy Racecourse Road. One of the things that M Yong Tofu does differently is that it offers ‘Yong Tofu’ which is basically your choice of add ons such as eggplant, wonton, fish stuffed tofu, prawn dumplings, fish balls with your choice of soup (Curry soup/Chicken soup/Tom Yum soup) along with your choice of noodles (Hokkien noodles/rice noodles/egg noodles/rice vermicelli). However, while they do this they also offer the more commonly known Malaysian dishes such as Laksa, Mee Goreng, Char Kway Teow and Nasi Goreng. Their Mee Goreng is almost perfect, but a bit too wet and a bit too much tomato flavour. It needs that extra wok flavour to make it excellent. 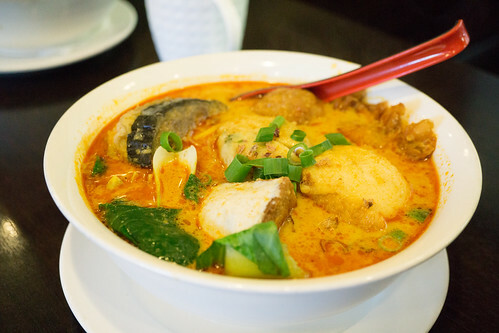 As mentioned before, their Yong Tofu has all these different additions to it that make a nice change to the more traditional curry laksa as it uses a very similar broth. I quite like the curry soup in M Yong Tofu, it’s probably not as creamy as you’d find in either Chef Lagenda or Laksa King but it’s not that different either. The Assam Laksa broth needed a bit more sourness to it but overall it’s a decent Assam Laksa. 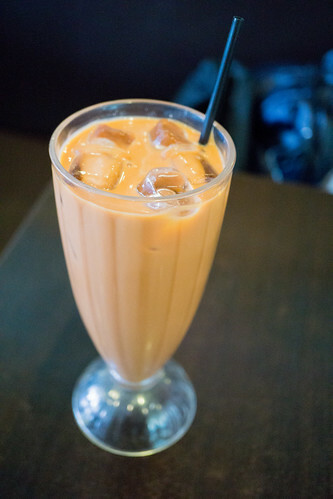 Their Iced Teh Tarik needs to have a slightly stronger tea flavour and it’s a tad too sweet but it’s pretty good. 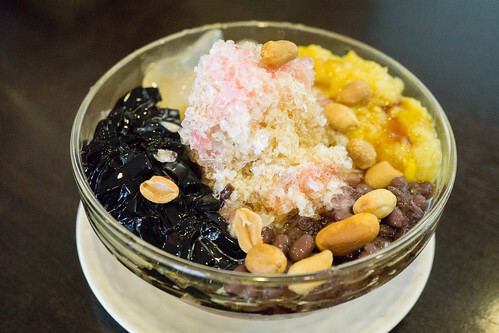 I quite like the Ice Kacang here and it has everything you need for a great Ice Kacang, except lacking in shaved ice. All three Malaysian restaurants have their strong points and M Yong Tofu’s is in its Yong Tofu. 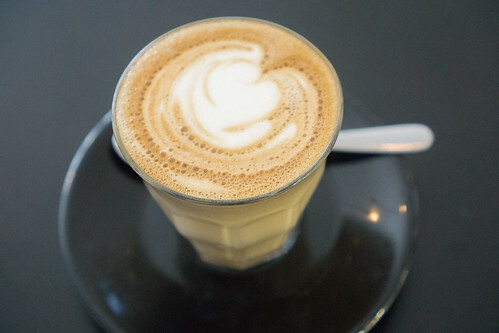 Mr. Ed Cafe is located along the busy Racecourse Road in Flemington and minutes walk from Newmarket Station. While their offerings for breakfast and lunch may, on first glance, be your typical cafe dishes. On some of them, they do an interesting take on it. For example, their Smoked Salmon comes with sumac rolled eggs or their Baked Eggs comes with leek and chorizo ragu and Persian feta. 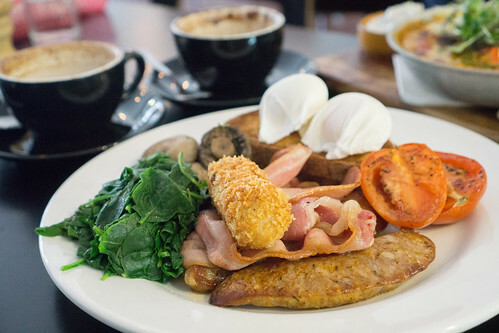 What Mr. Ed Cafe calls their ‘Horse’s Feed’ is like your big breakfast, served with poached eggs, taleggio croquette, chorizo, bacon, tomatoes and mushrooms. The poached eggs were cooked perfectly, with that golden oozy yolk. While I would have preferred the bacon to be more crispy, it was decent and not overcooked. The chorizo, however, was interestingly sliced horizontally and pan fried. Overall I’d say it’s a decently tasty dish. Their Baked Eggs as mentioned before is very interesting, it isn’t your typical tomato based Baked Eggs. 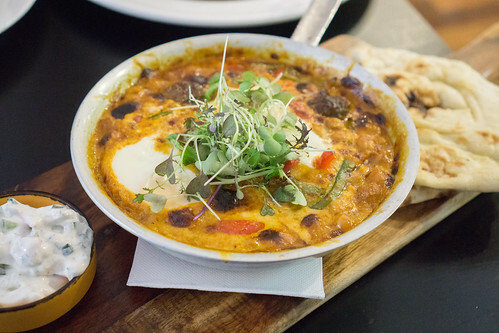 Instead, it comes with flatbread and yoghurt, and has like curry or Indian spices with beans and chorizo, and of course eggs. The eggs were a bit over cooked and I found it to be quite rich. However, it’s quite tasty and especially so with the flatbread. 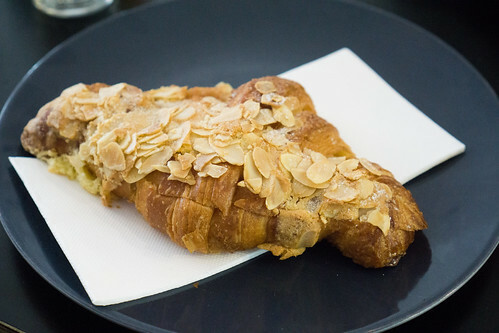 In addition to their menu, they also have muffins, and croissants if you want something a bit smaller as a meal or as a snack. Not only do they have a breakfast and lunch menu, but in the evenings Mr. Ed also has a dinner menu which is basically all burgers and sides, and offering wine and beer as well. 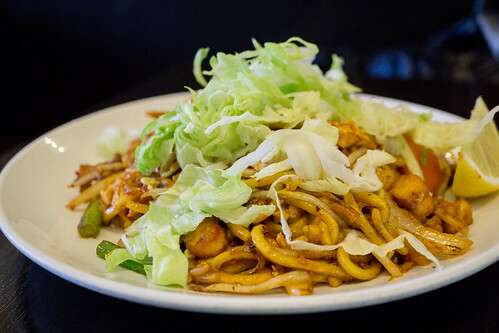 Mr. Ed Cafe serves tasty food and offers something different to the norm.